Let me get this out of the way. 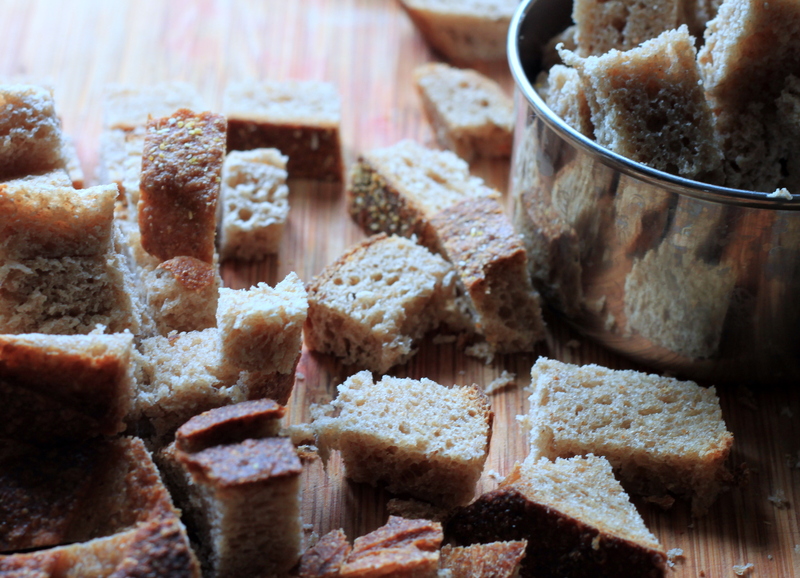 This isn’t really bread. It’s more or less a souffle with corn meal. It’s best eaten with a spoon. It’s very southern, very simple, and all about corn, which was the main appeal. Summer is full of food like this. 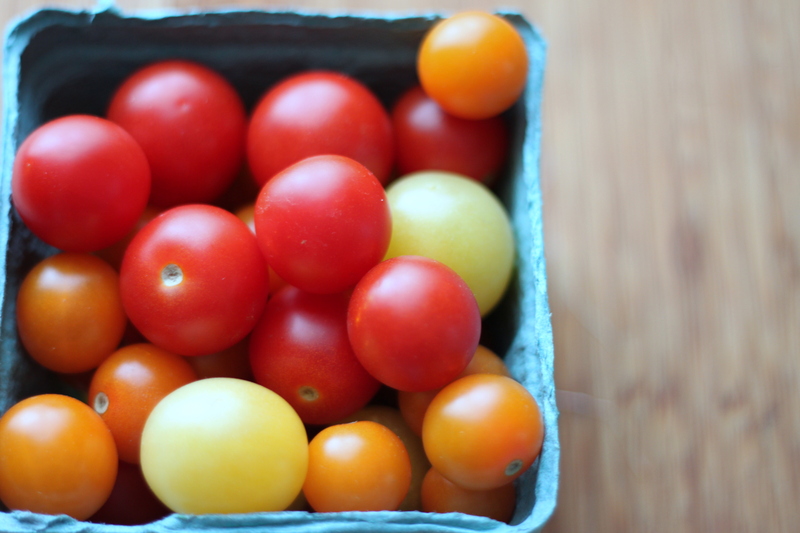 In the Midwest, the farmers’ markets are bursting with possibilities. Right now sweet corn is one of them. In about a month corn will be about over. I came across this recipe Friday night and wanted to try it immediately. 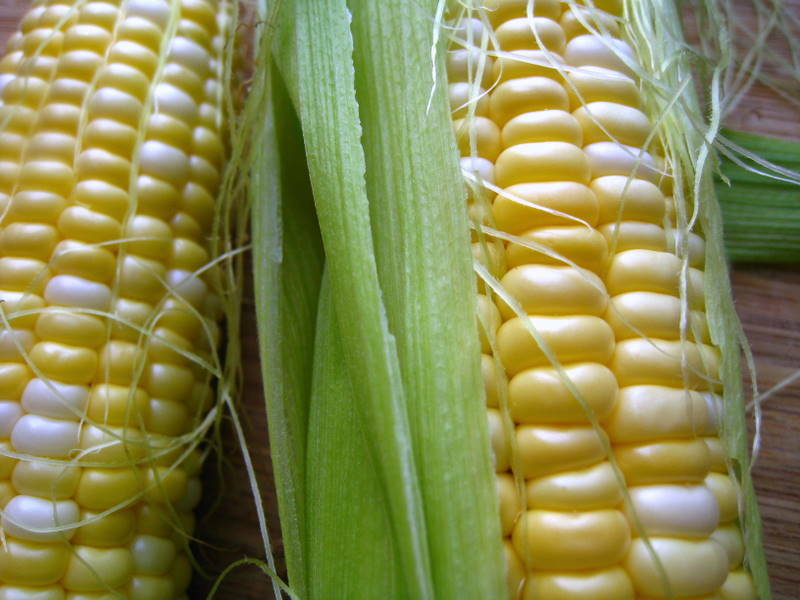 Sweet corn reminds me of my childhood. 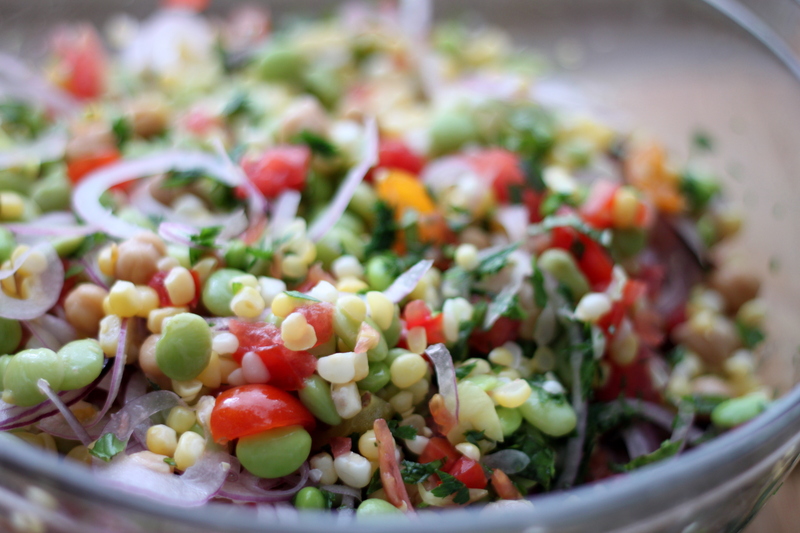 Summertime was lightning bugs, swimming, and corn from my dad’s garden. He would pick a few ears as my mom heated the water. She’d shuck, boil and serve the corn minutes later. 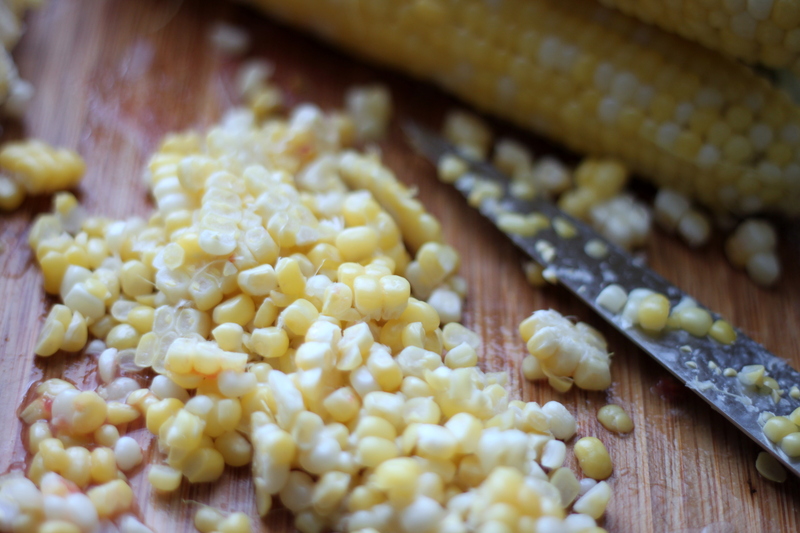 I’d smear some butter and a little salt, and eat it with mini-plastic corn cobs sticking out the sides. There was nothing like it. Sadly, I can’t grow corn in our tiny garden. Farmers’ market corn is a close second. Supermarket corn doesn’t come close. Spoon bread in some corners of the south is like clam chowder in New England. Everyone claims theirs is the best. They all have cornmeal and milk as a base, and eggs of course. Don’t let the souffle comparison here scare you. 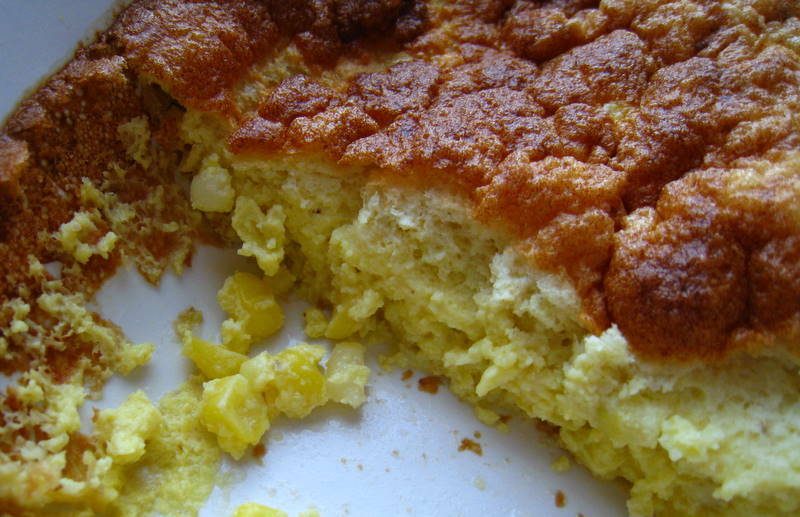 Spoon bread is simple to make. 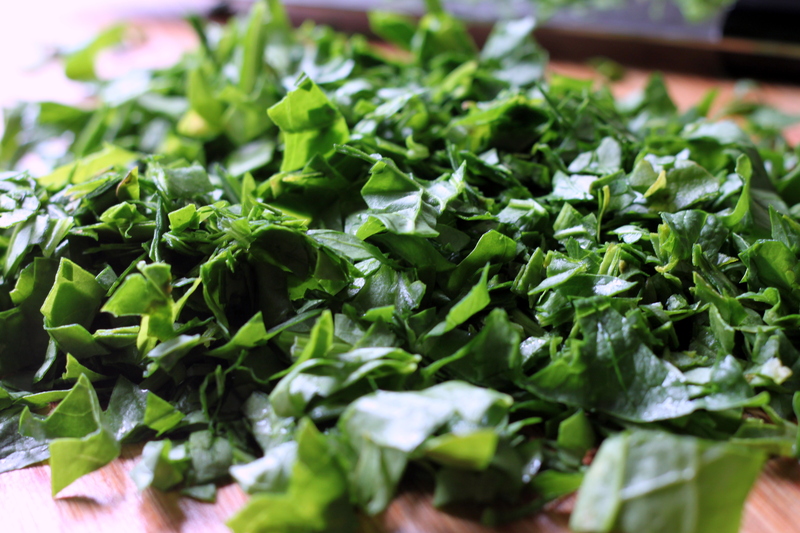 It doesn’t take much time (about 30 minutes active time) and will impress the heck out of anyone who tastes it. The recipe here says serve immediately. Like a souffle, spoon bread will deflate. However, as long as it’s still warm, you should be OK. I made this as a side to some grilled fish Saturday night. Sunday morning, I took the leftovers out of the fridge, stuck part of the spoon bread in the microwave, and it was still moist and delicious. I’m savoring these last few lunches like this. It’s so wonderful on a weekday to do something on a whim that’s fresh and amazing — shaved fennel, lemon juice, olive oil and pecorino cheese. Maternity leave ends in 10 days. After that, weekday lunches will consist mostly of sandwiches and cafeteria food, or leftovers from dinner. 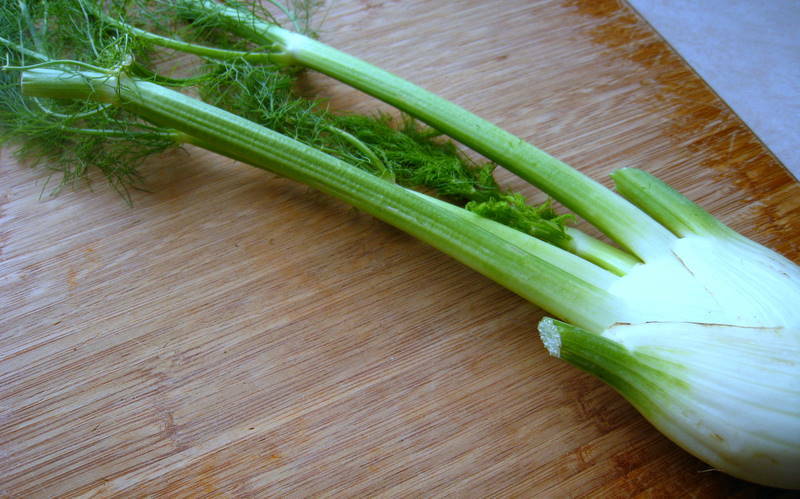 A single bulb of fennel was in our CSA box this week. We had other fantastic goodies — strawberries, cauliflower, broccoli, zucchini, cabbage and ground pork. But I was particularly happy about the fennel. I held the bulb to my nose (licorice!) and wanted to make a simple salad. I also needed to use it quickly. You see, there’s not much room in our refrigerator right now. One of the side shelves broke a couple of weeks ago, which means bottles of soy sauce, chutneys and other random condiments are crowding our refrigerator shelves. I left the fennel out overnight on the kitchen counter. 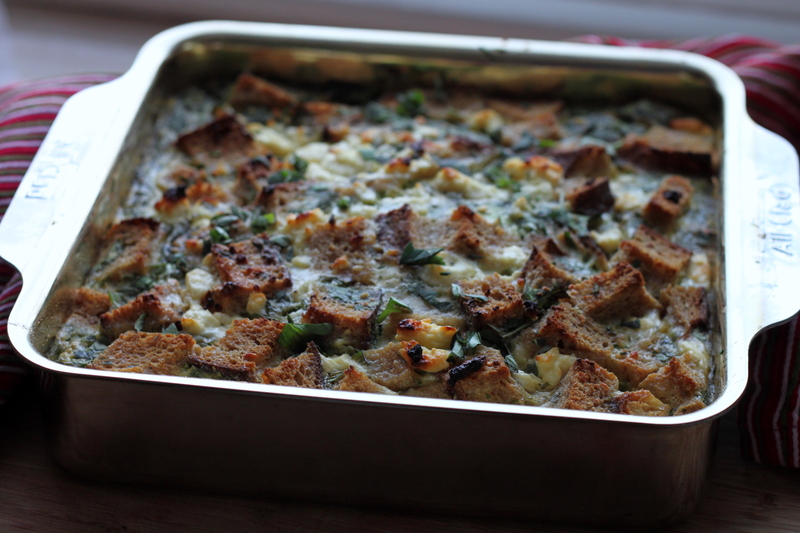 This morning I picked up some pecorino at the store, came home and made this. It’s quick, refreshing, and summery. Its simplicity and beauty made me happy. 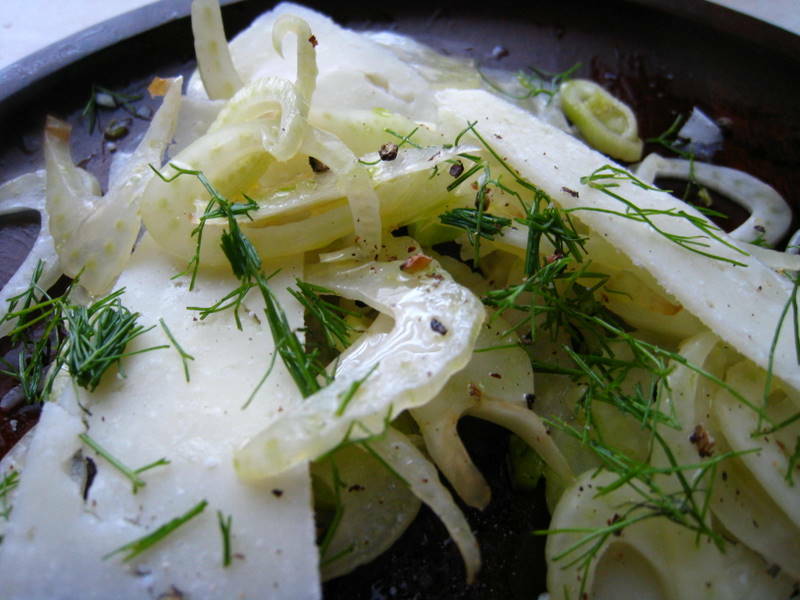 Using a mandoline or chef’s knife, thinly shave the fennel. Toss in a medium bowl with the olive oil and lemon juice. 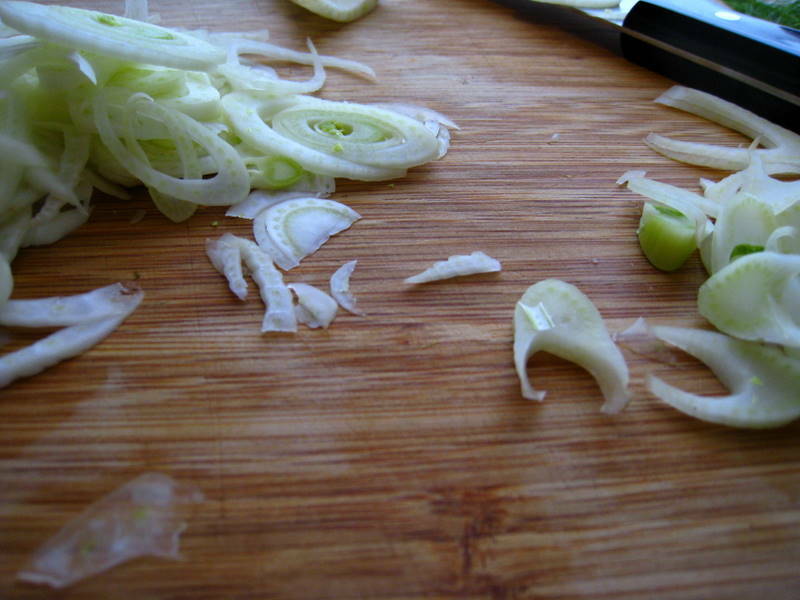 Using a vegetable peeler, shave the pecorino over the fennel. Season with salt and pepper, add the fennel fronds, and toss gently. Serve. I wish I had my parents’ problem. They have broccoli coming out of their ears. Their garden is producing so much they can’t keep up. Maybe next spring I’ll plant my own. But for now, I’m finding it at farmers’ markets. It was piled high at the Webster Groves market on Thursday and made a strong showing this morning at Tower Grove. A couple of months ago, when broccoli was not in season, I bought a few pounds at the store and made this flavor-burst of a side dish. I wanted to try it again when broccoli is at its best, and that’s now. 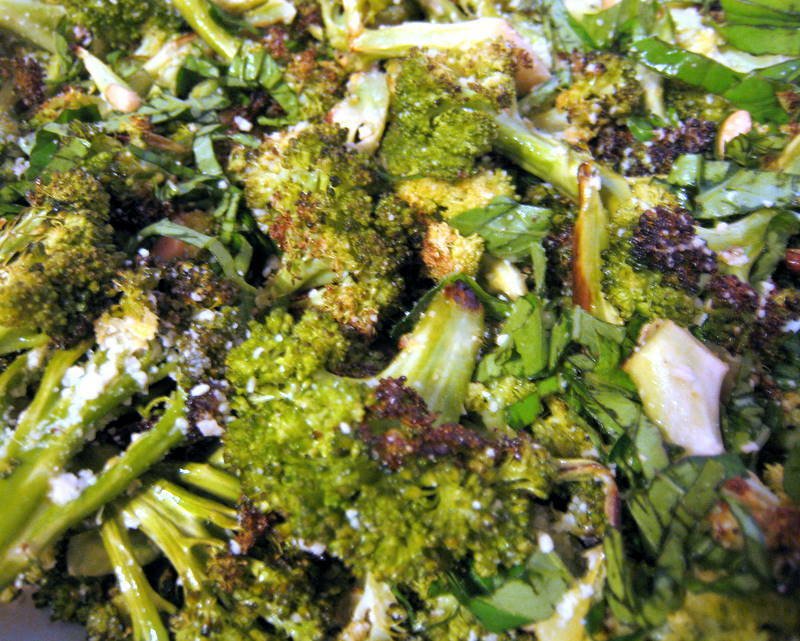 Of the myriad recipes that highlight broccoli, I dare say this ranks near the top. Here it’s tossed with olive oil and sliced garlic. Toasted pine nuts are added, along with lemon zest, lemon juice, basil leaves and a sprinkling of freshly grated Parmesan cheese. I use more olive oil than the original recipe calls for. Reduce it if you’d like. And if you’re shy about lemon, reduce the amount of juice just slightly. 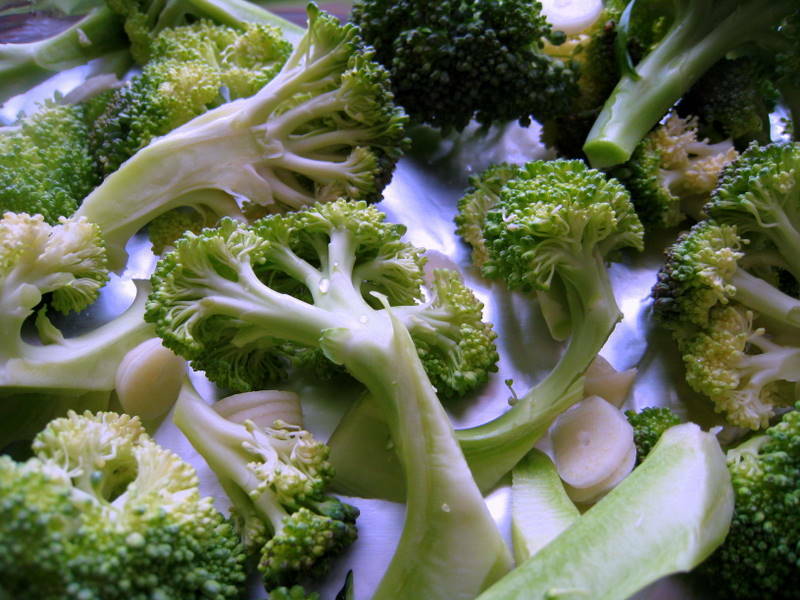 The broccoli becomes slightly brown in the oven. It’s supposed to do that. 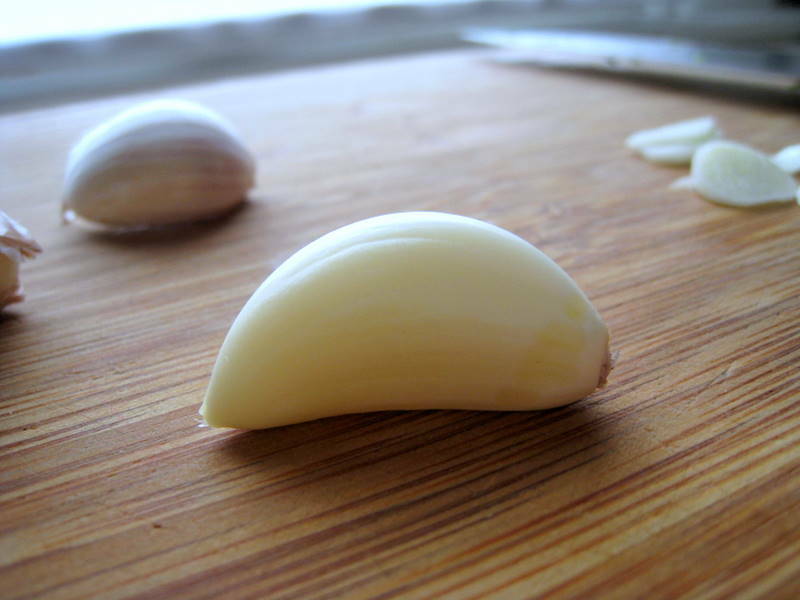 The garlic also gets brown and crispy. Roast it in the upper part of the oven to avoid too much browning.